Speed of Life: He Called Her "Lightning"
When I was little and my dad was off in Vietnam during the war, we lived in a small, rented carriage house behind a big estate. On the way to school each morning we would walk by the train platform full of commuters waiting for their ride into the city. I knew my Grandpa Desch drove trains and I often wondered as we passed over the tracks on the bridge on Ridgewood Avenue whether he was in one of the engines down below. It's only thirty minutes by train from Glen Ridge, New Jersey, to Penn Station in Manhattan. Yet, there seemed to be a world of difference between my town with its quiet gas-lamp lit streets and the bustling avenues in New York City. 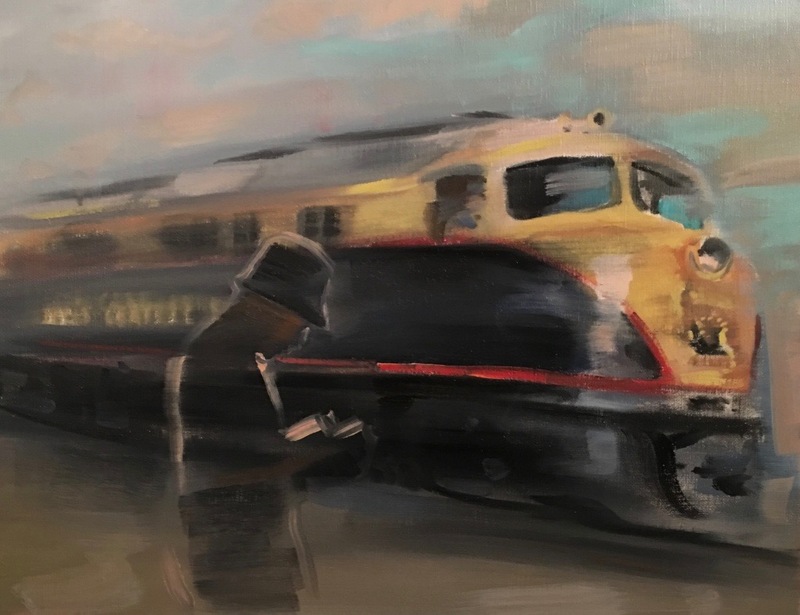 The train was the artery between those two worlds and I never forgot it. The kitchen in Garwood was where Grandma Desch would spread her warmth. In a similar fashion, the quiet evenings at the house where my dad's parents lived in Montclair were a world away from my mom's parents' boisterous home in Garwood. Being one of eleven children, my mom was thrown into a swirl of hugs, greetings, questions, and desires the minute we walked through the door of the Desch home. 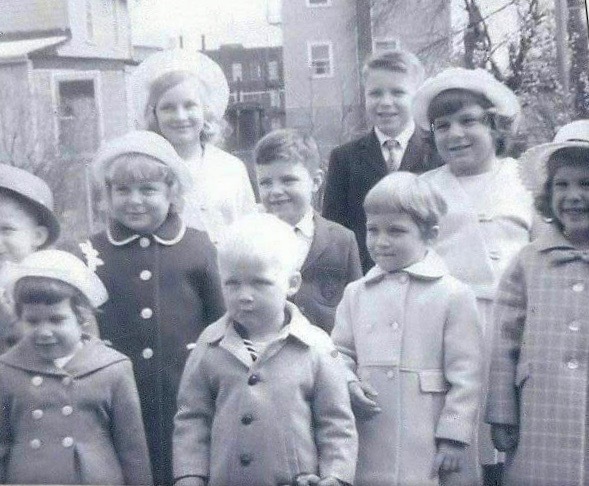 Small in size, but full of warmth, my grandparents' house was a neighborhood gathering place. A black and white TV was usually on in the living room with a ballgame playing or often on weekend afternoons a pulpy science fiction film. Grandpa would often hold court here on his days off from the railroad. I remember Grandpa mussing up my hair when we arrived in a warm hearted gesture that implied get comfortable and join the fun. I was considered shy as a kid in this environment, and with my Southern California accent, I wasn't quite a true Jersey kid either. If the living room was Grandpa's domain, the kitchen in Garwood was where Grandma Desch would spread her warmth. Usually wearing an apron, Grandma's world extended from the stove, to the sink, to the screen door leading out to the second story porch. Her meals were hearty and reflecting our Irish/German roots ranged from corned beef and cabbage to sauerkraut and sausages. My favorite breakfast at her house was a plate of browned potatoes fried up in her cast iron pan. I remember Grandma giggling one morning when I spread mustard on my bread instead of butter because of a billboard I saw along the New Jersey Turnpike that depicted buttered bread with such a mustardy yellow that I thought it had to be a French's condiment ad. The New Jersey Turnpike and the Garden State Parkway run the length of the state and at first meeting folks from Jersey often ask,"What's your exit?" 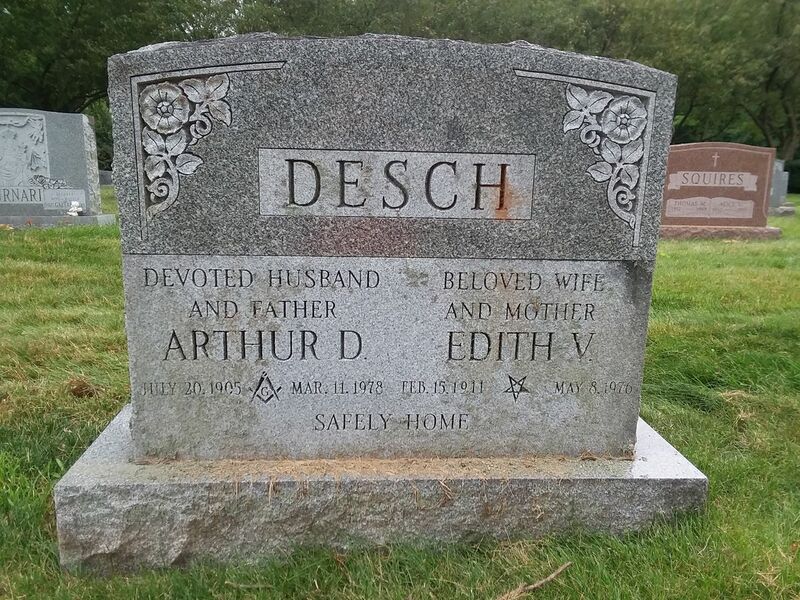 Grandma and Grandpa Desch lived off of Exit 136 in Garwood, New Jersey. When we drove there from Exit 148 in Glen Ridge we would often detour through Irvington to grab an Italian hotdog or sausage at Jimmy Buff's. There are a few classic New Jersey staples: pork roll sandwiches such as Taylor Ham, saltwater taffy at the Jersey shore, and Italian hot dogs at roadside restaurants up and down the state. But, it is the smell of Taylor Ham cooking on a griddle that always brings me back to Grandma's kitchen. 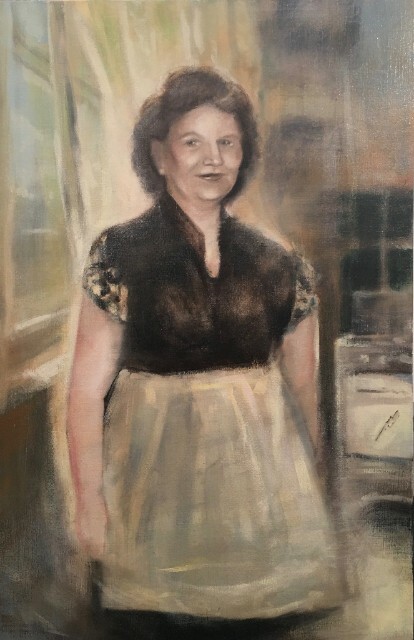 After painting my grandfather in Jersey Central Engineer (Arthur Desch), I was asked by my Uncle Jake to paint a companion piece of Grandma Edith Desch. 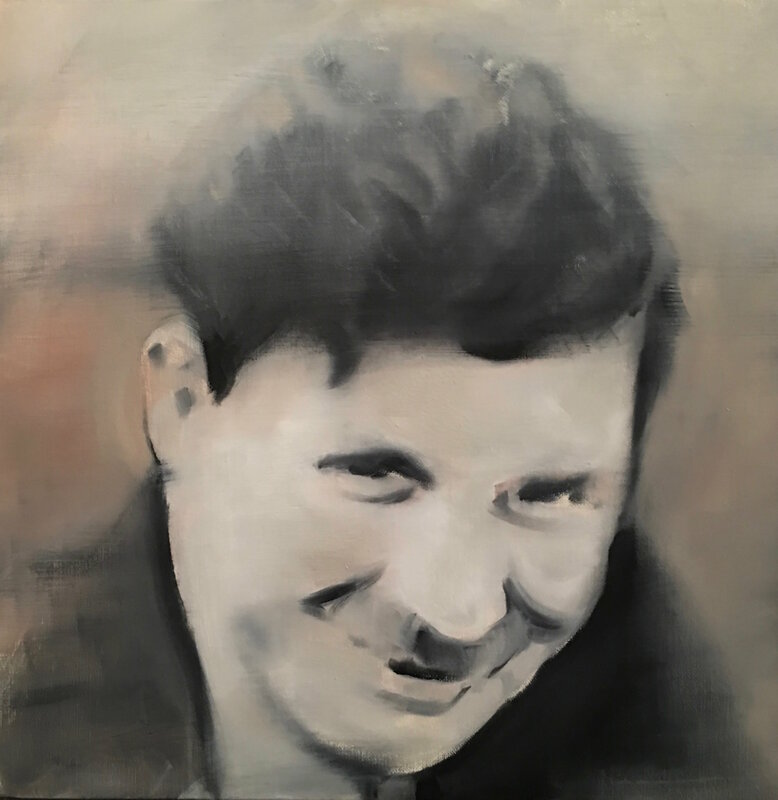 His wish to honor both of his parents with my paintings of them was of great interest to me. In artworks such as these two portraits, venturing back into my childhood memories is an essential part in crafting a painting. Sadly, my grandmother passed away in 1976 and time has faded even the photographs we have of her. I would have to dig deep and remember the woman that my grandfather nicknamed Lightning. 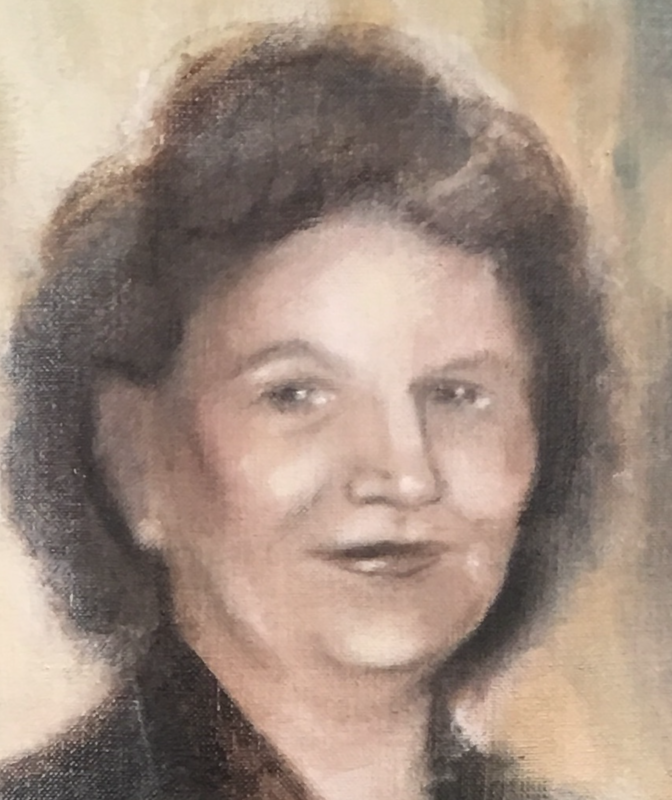 Hearing my extended family's stories of their times with the Desch clan helped me settle upon an idea for my portrait of Grandma Desch. She needed to be in her kitchen and she would need to have a warmth of spirit. 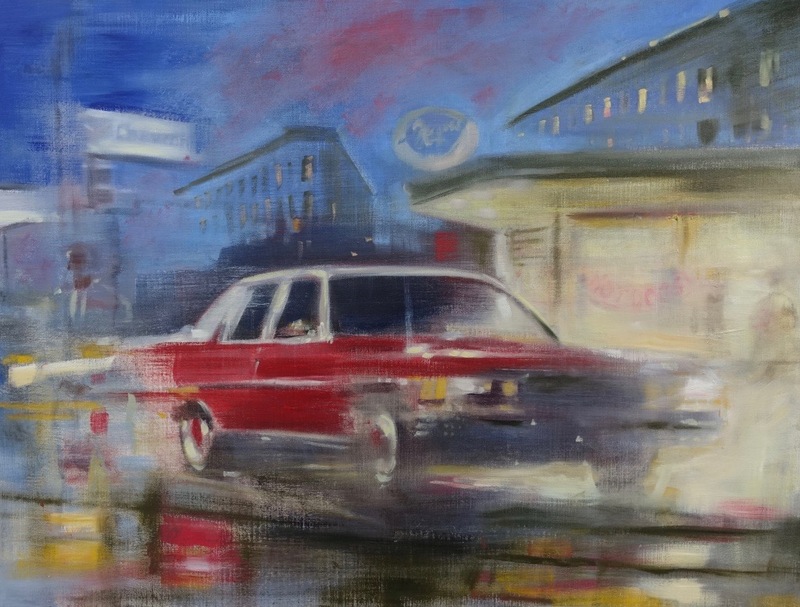 Her painting would be built from an accumulation of memories.